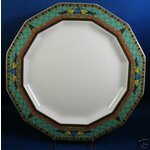 Absolutely stunning porcelain polygon china dinnerware plates made by Rosenthal Versace in the Marco Polo pattern. 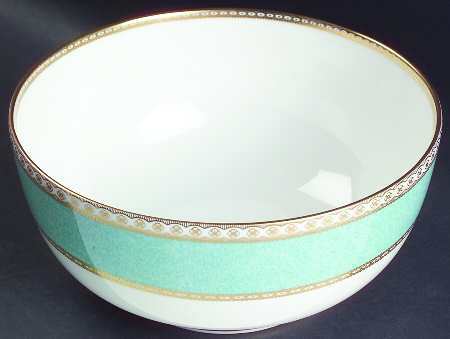 This pattern was introduced by Rosenthal in 1994 and discontinued in 2000. 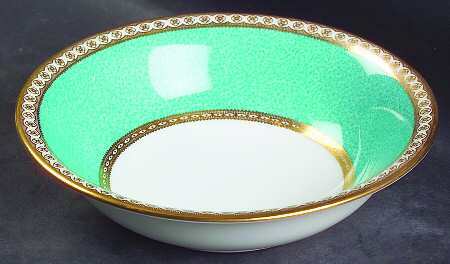 Rich and finely crafted colors adorn the plate with deep, greens, oranges, blues, yellows and gold. 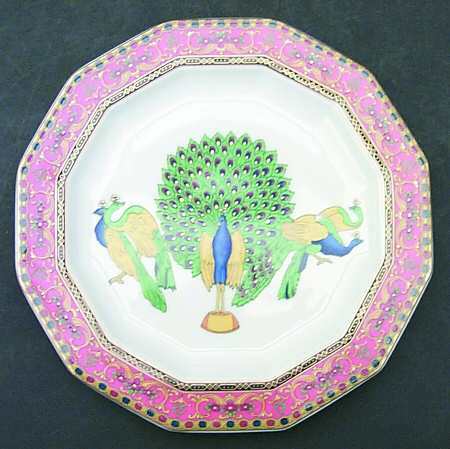 Beautifully detailed peacocks with their tails down are on 4 sides of the plate. 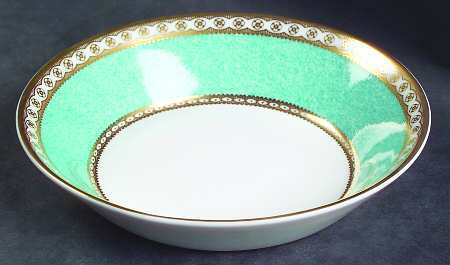 The plate is stamped on the back in black and gold with the Rosenthal Versace. 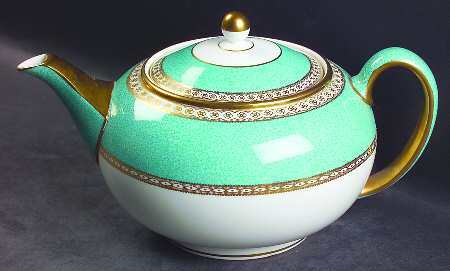 Wedgwood introduced the prestigious Ulander pattern in the early 18th century. 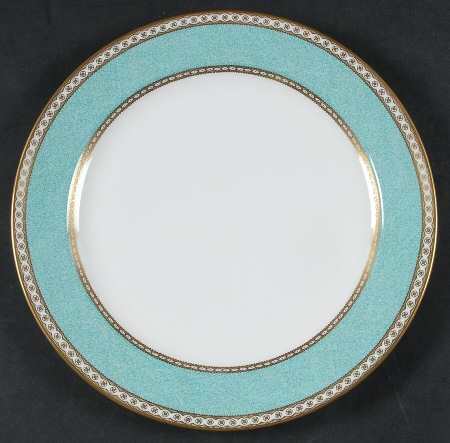 With its opulent color and refinement, the Ulander pattern has frequented the tables of US Presidents, global heads of state and dignitaries alike. 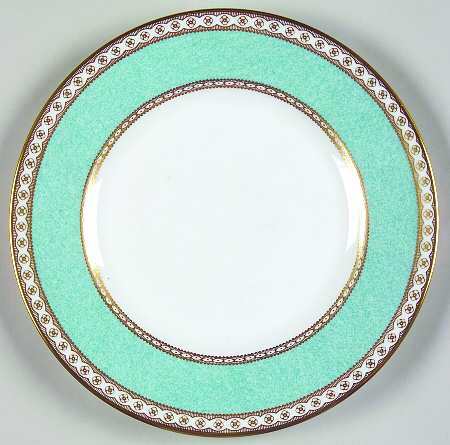 The Ulander Powder Turquoise dinnerware has a unique finish that is hand-stippled with a fine-grained sponge to achieve the rich powder turquoise band of color. 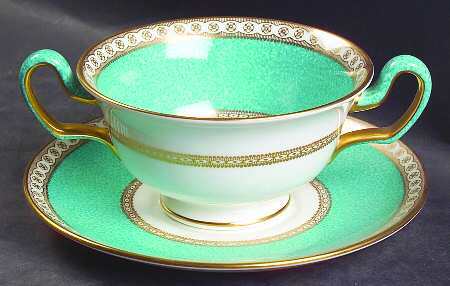 While Ulander is produced principally for traditional afternoon tea, even a few selective components of this glorious pattern will add style and elegance to any setting. 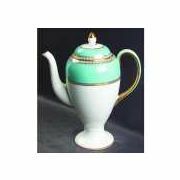 Its pure transparency, gloss, and elegant milky white color are characteristics of bone china that come from the combination of the ash of cow bones. 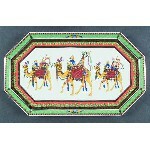 Bone china was first discovered in England in the late 18th century and in 1932. 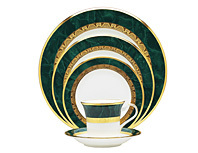 Noritake was the first to make a bone china dinner set in Japan.